Today I will be sharing some real good Drugstore products with you. Nowadays I do not wear makeup a lot because I love on Ariani a lot and hate to get it on her. Also let’s be honest, I am always home so no reason to wear makeup if I am not going anywhere right? I love drugstore products, makeup can be very expensive, when I find good affordable products I love to share. Keep reading to find out my picks. 1. Milani Blush (Romantic Rose color) – This blush is perfect for fall and winter. Pigmentation is really good and does not apply muddy. I feel it is a great blush for the price. The other colors available are also pretty. Who doesn’t want a blush shaped like a rose? 2. Airspun Loose Powder (Translucent color) – Everyone needs a good setting powder. Most people will say they own the Laura Mercier powder and so do I but if you are on a budget this is a good option. It set the under eye area beautifully. Once I set with this my makeup does not move and rarely becomes oily. Warning make sure you blend your concealer well because the powder can settle in your fine lines. 3. Maybelline Fit Me Concealer – This concealer works great. I have it in a lighter color for winter months and a bit darker for summer, when I am a little more tan. You can certainly build it up to cover more or use less product to lightly cover a blemish. It does not crease in the fine lines and does not feel too heavy on the face. It is very comparable to the high-end Nars Radiant Creamy concealer, but of course at a much better price! 4. 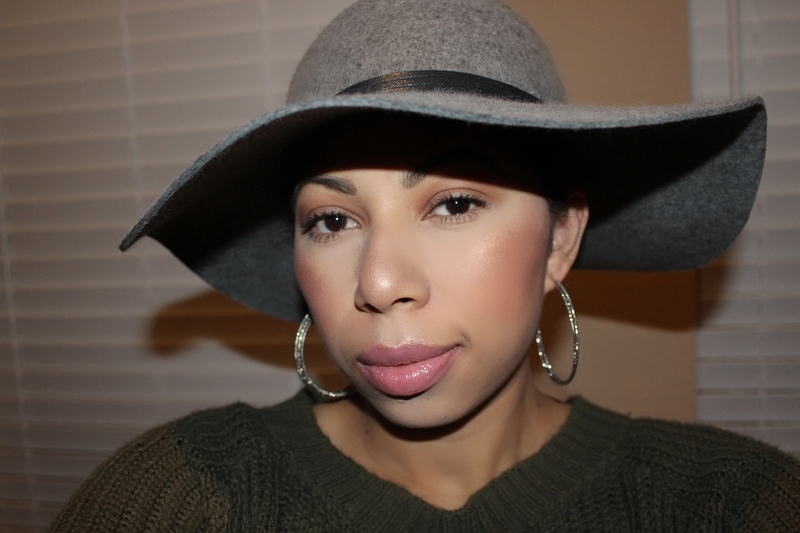 Maybelline Fit Me Foundation – This is by far my favorite drugstore foundation. It is long wear, can be built to full coverage and has a matte and dewy option. I wear the matte option during spring and summer when my face tends to be a little more oily, I then use the dewy option in colder months since my face is dry. I have also use this foundation when I work and has held up very well through a 12 hour shift. I also like that they have a big range of colors to choose from. 5. NYX Butter Gloss – These glosses are the best! I normally have to wear chapstick year round but I find that when I wear this gloss I do not need it. They are buttery and not too sticky. The colors are also very pretty and they have a wide range to choose from. The colors are very sheer in my opinion, that is why I normally wear the gloss on top of a lipstick. The price is great and though the tube is small they last a long time. I hope these picks and reviews are helpful and become your favorites as well. Let me know what are your drugstore must have products in the comments below! You are so lucky that Airspun works for you! While I love the consistency and price of the product, the color was too light for me and created a flashback. As a result, I use Ben Nye’s banana powder. Oh how I’d love to saved $20! I swear by that $5 foundation. It’s everything! I am glad the powder does not do that on me. The Ben Nye product is also great, I have tried that one as well. Best drugstore foundation thus far! Hands down! Have you tried their new Superstay foundation? I’m intrigued! No I haven’t! Haven’t made out to purchase it, sounds good though. I might just order it online to try it out!